Military History is an American digital cable and satellite television network that is owned by A+E Networks, a joint venture between the Disney?ABC Television Group subsidiary of The Walt Disney Company and the Hearst Corporation (which each own 50%). The channel features programs about the history of the military and significant combat events. In addition to its carriage in the United States, the channel had previously been launched in the United Kingdom and Republic of Ireland on March 31, 1999. 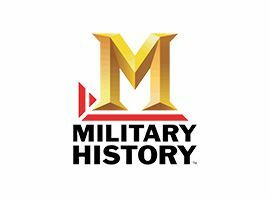 On March 20, 2010, Military History was added to Virgin Media on channel 236. Military History was replaced by its sister network, H2, in those countries on May 4, 2013, on both Sky and Virgin Media in Military History´s former channel slots on both platforms.